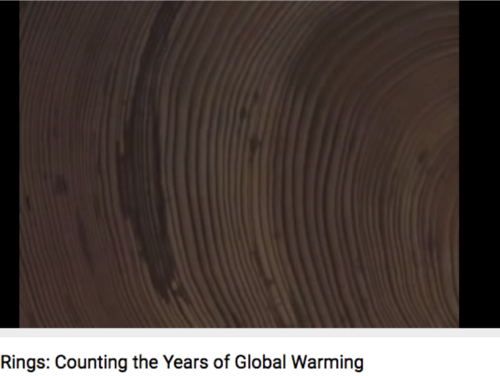 This video describes the role that dendrochronology plays in understanding climate change, especially changes to high elevation environments at an upper tree line. Dendrochronologists from the Big Sky Institute sample living and dead trees, describe how correlations between trees are made, and explain how tree cores record climate changes. 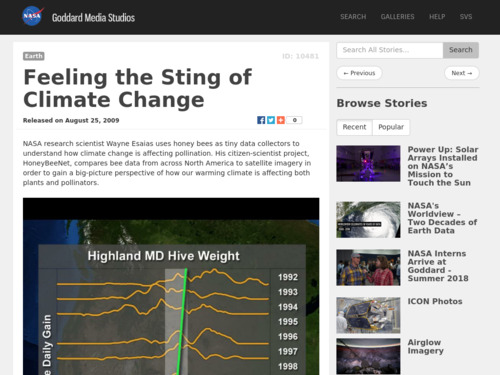 This video on phenology of plants and bees discusses the MODIS satellite finding that springtime greening is happening one half-day earlier each year and correlates this to bee pollination field studies.